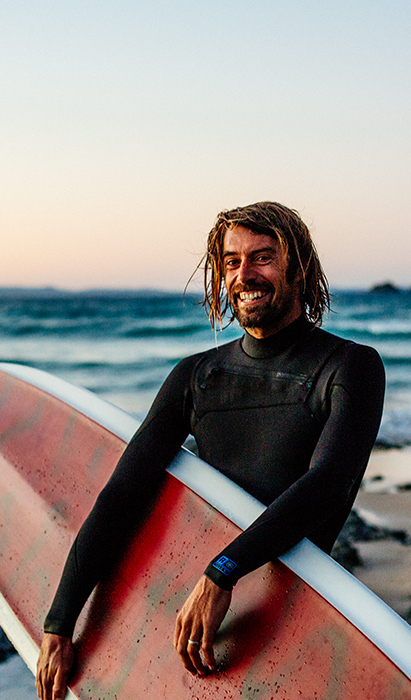 Dave Rastovich is one of the most gifted waveriders in the world. As a junior surfer in Australia, he was on the same level as his compatriots who went on to world championship titles and lucrative competitive careers. But for Dave, surfing was supposed to be about having fun, not having to prove you’re the best, and he eventually chose the freedom of the ocean over the rules and regulations of contest surfing. Now in his thirties and a master of waveriding in almost every form, his approach is driven by the pure enjoyment that comes from tapping into the energy contained in ocean swell. From bodysurfing heavy Tahitian reefbreak to riding perfect point surf in sailing canoes, Dave’s story is about leaving conventional wisdom behind and replacing it with a life of gratitude and artistry that’s entirely your own. Growing up on Maui, Kimi Werner was taught something Hawaiians have always known: You should never take more than you need. Her father introduced her to spearfishing at a young age, and her keen instinct and ability in the ocean helped her to win a U.S. National Spearfishing Championship. But the world of competition wasn’t always in line with her beliefs, so she left it behind to focus on marine conservation and sustainable hunting. 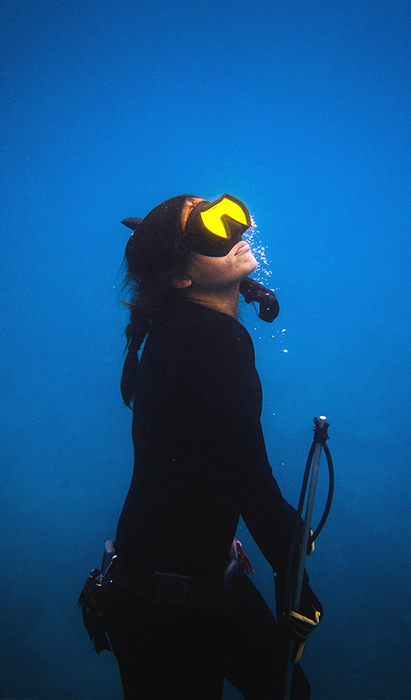 For Kimi, spearfishing is about creating the most intimate connection possible with the ecosystem that sustains her—and sharing her catch with the people she loves. Spending many minutes below the surface on only one breath, Kimi’s skill as a freediver, spearfisher and ocean explorer is further proof that we’re just as capable of thriving underwater as we are on land. 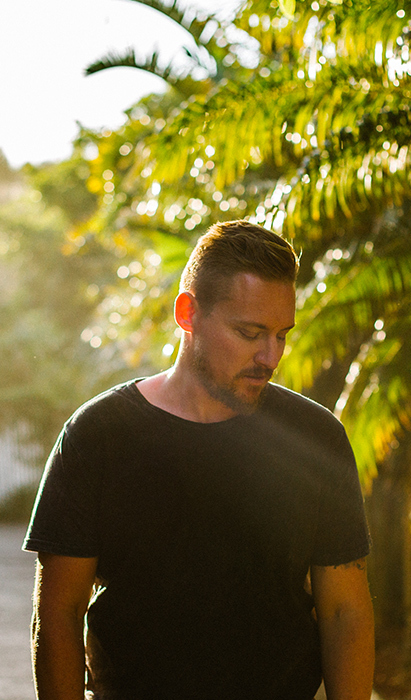 Ray Collins grew up near Wollongong, New South Wales, where the rugged beauty of the Australian coastline stood in stark contrast to the heavy industry that drove the city’s economic life. 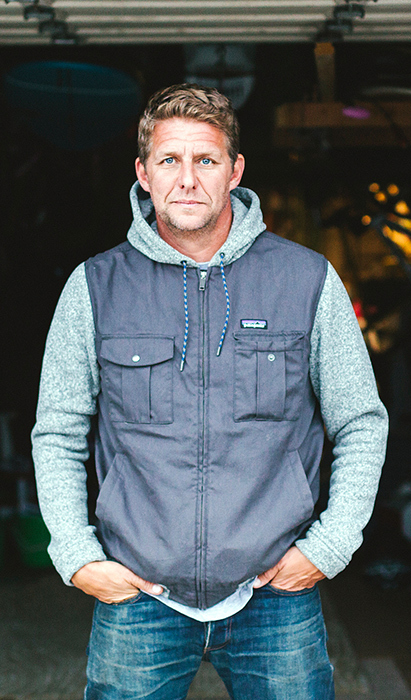 As a boy, surfing and bodyboarding taught him to feel at home in the ocean—but later in life, like many of his friends, he went to work in the coal mines to make ends meet. After a workplace injury kept him from surfing, he picked up a camera and started swimming into the surf to shoot pictures of breaking waves. His eye for dramatic and arresting seascapes—combined with an uncommon comfort in dangerous ocean conditions—soon earned him deserved acclaim as a fine art photographer, and a new career that brought him out of the mines. Through Ray’s lens, we’re shown the raw power of the ocean in a unique and elemental way. For thousands of years, the peoples of Polynesia have lived in partnership with the ocean. And in some places, like the outlying villages of Tahiti, that partnership hasn’t changed much at all. Matahi Drollet, a young surfer and fisherman, is one of the next generation of Tahitian watermen and waterwomen who are inheriting and evolving the traditions of their predecessors. Embodying a proud culture that revolves around respect for the sea, Matahi’s everyday life is an example of how simpler living can help us find our way in a fast-changing, hyper-connected world. There’s also another trait that makes Matahi’s story unique: A few hundred yards from his family home, this 19-year-old just happens to ride some of the biggest and most awe-inspiring waves in the world. For some, surfing is a selfish pursuit. For others, however, it’s an act of joy and opportunity that gets even better when shared. One of San Francisco’s many lifelong surfers, Eddie Donnellan is a regular in the lineup on big and heavy winter days at Ocean Beach. But when it’s smaller and warmer, he has a mission that’s no less challenging: introducing at-risk youth and families to the magic and healing of Mother Nature. By giving kids with high-stress lives a chance to break through barriers and escape to the beach, his work demonstrates that the ocean can be a place of life-changing empowerment and growth. 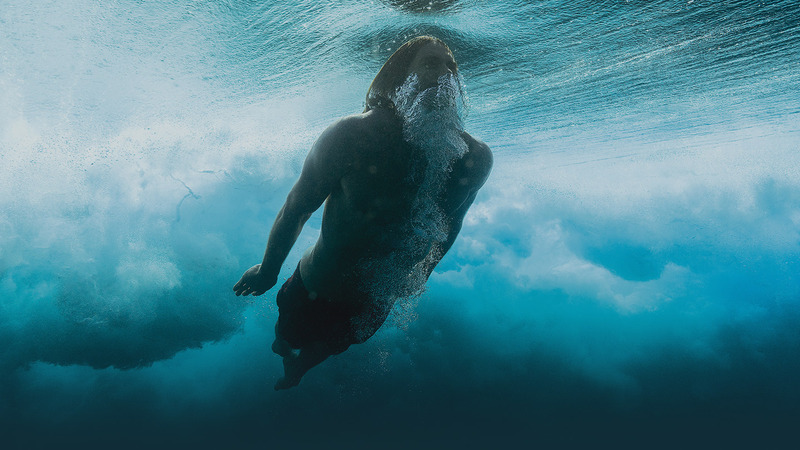 To Eddie, the water is a conduit to well-being—a belief that’s supported by a growing body of research on the therapeutic properties of the sea. The Bering Strait is unusual place to go for a swim. The same could be said about Antarctica, the Strait of Magellan and the Cape of Good Hope. But Lynne Cox isn’t one to stick with the usual—from age 14, when she first swam from Catalina to the California mainland, she’s dedicated her life to swimming long distances across cold and inhospitable expanses of water. 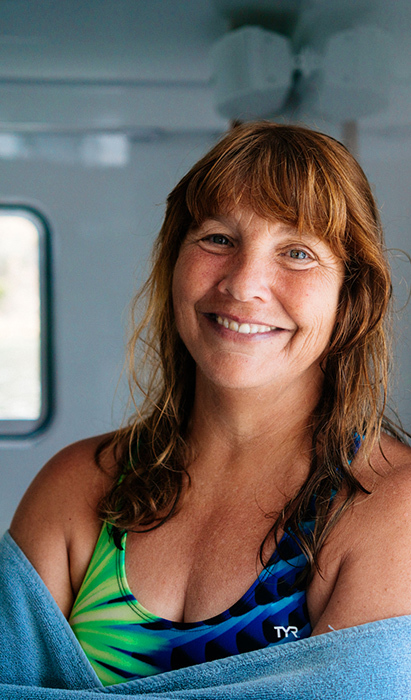 Pushing the boundaries of the possible, her accomplishments have demonstrated how the simple act of swimming can help connect communities and rebuild our relationship with the natural world. The author of the influential memoir Swimming to Antarctica, Lynne’s lifetime in the ocean shows how the harshest environments can help us find where we truly belong.